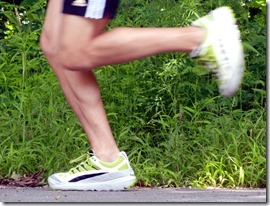 Can Rotating Running Shoes Reduce Injury Risk? – New Study Suggests Yes! Shoe geeks rejoice! If you’ve been looking for a good reason to convince your spouse or significant other that you need a new pair of running shoes, look no further than a new study that suggests that runners who rotate among more than one pair of running shoes are significantly less likely to get injured than those who wear the same model of shoe on every run. 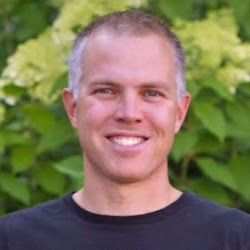 The abstract of the study arrived in my inbox a few days ago, and I do not yet have access to the full text, but Craig Payne at Running Research Junkie and Scott Douglas at Runner’s World have both covered it in some depth. Can parallel use of different running shoes decrease running-related injury risk? Malisoux L, Ramesh J, Mann R, Seil R, Urhausen A, Theisen D.
The aim of this study was to determine if runners who use concomitantly different pairs of running shoes are at a lower risk of running-related injury (RRI). Recreational runners (n = 264) participated in this 22-week prospective follow-up and reported all information about their running session characteristics, other sport participation and injuries on a dedicated Internet platform. A RRI was defined as a physical pain or complaint located at the lower limbs or lower back region, sustained during or as a result of running practice and impeding planned running activity for at least 1 day. One-third of the participants (n = 87) experienced at least one RRI during the observation period. 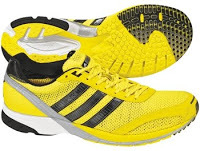 The adjusted Cox regression analysis revealed that the parallel use of more than one pair of running shoes was a protective factor [hazard ratio (HR) = 0.614; 95% confidence interval (CI) = 0.389-0.969], while previous injury was a risk factor (HR = 1.722; 95%CI = 1.114-2.661). Additionally, increased mean session distance (km; HR = 0.795; 95%CI = 0.725-0.872) and increased weekly volume of other sports (h/week; HR = 0.848; 95%CI = 0.732-0.982) were associated with lower RRI risk. Multiple shoe use and participation in other sports are strategies potentially leading to a variation of the load applied to the musculoskeletal system. They could be advised to recreational runners to prevent RRI. 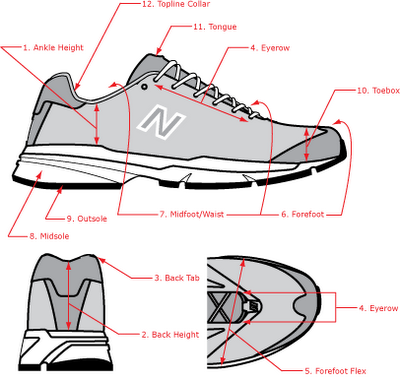 I’ve long advocated rotating running shoes since I think that one of the major causes of repetitive overuse injury in runners is that many of us run on the same type of uniform surface (road/sidewalk) in the same model of shoe on every single run. In other words, we hammer ourselves in the same way every time we head out the door (trail runners excluded). I believe that wearing shoes that vary in sole geometry and the amount of cushioning and support provided results in forces being applied to the body in different ways and thus reduces the overall repetitive load to individual tissues. This, in turn, reduces injury risk. I’ve employed a shoe rotation myself for several years now, though mine may be a bit larger than necessary given that I review them (perhaps to the point of actually being too big a rotation!). My thoughts on the benefits of rotating shoes until now were just a hunch based on knowledge of how footwear can alter mechanics and force application, but the study reported above seems to lend some scientific support to the practice. “The researchers wrote that this could well be because different shoes distribute the impact forces of running differently, thereby lessening the strain on any given tissue. Previous research has shown, and runners have long intuitively felt, that factors such as midsole height and midsole firmness create differences in gait components such as stride length and ground reaction time. This hypothesis is thus right in line with my own belief that mixing up force application is a plausible explanation for why a shoe rotation might reduce injury risk. However, we can’t confirm the mechanism for certain yet. In any event, it’s nice when science supports a practice that I and many people I know have long advocated. It’s OK to experiment with footwear, and in fact it may be a good thing. But if possible, I’d like to know how often change the running shoes. I mean day by day change shoes? or every other week? It’s as simple as using different shoes for different types of workouts within a single week. You might use one shoe for most of your miles, then a flat for speedwork or a trail shoe out on the trails. I will read this to my wife after I’ve ordered my next pair of running shoes! And on a serious note: I almost never wear the same pair of shoes on two consecutive runs and until now I have never suffered a serious running injury. I’m running now (C25K, postpartum) in a pair of Altra Torins, which I love. As I’m building up slowly, the zero drop is working out great for me. My old shoes were a built-up motion control model, and I tend to heel strike heavily in them; the Torins force more of a midfoot strike. Worth it to rotate in this case, or should I be rotating between two shoes of similar profile but different cushioning? Thoughts? 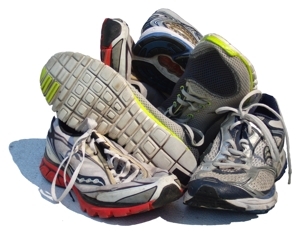 I think you should rotate among shoes that feel good and let you enjoy running equally. I wouldn’t run in a shoe that I didn’t like, but I can enjoy running in a wide variety of footwear from zero drop, no cushion to an 8mm drop cushioned training shoe. If you like zero drop and Altra, you could simply get something like the One or the Intuition to get a bit of a different feel underfoot. Ah, sorry for the double post. Thought my comment got eaten. Delete one if you want. No problem, I have to approve them before they are live to avoid spammers. There’s no doubt that a heel striker with foam padded shoes needs to rotate continuously to avoid injury but what about a mid/forefoot striker in minimal shoes? My take would be that shoe soles behave pretty much like orthotics and any variation in structure will slightly change how force is applied to the body. 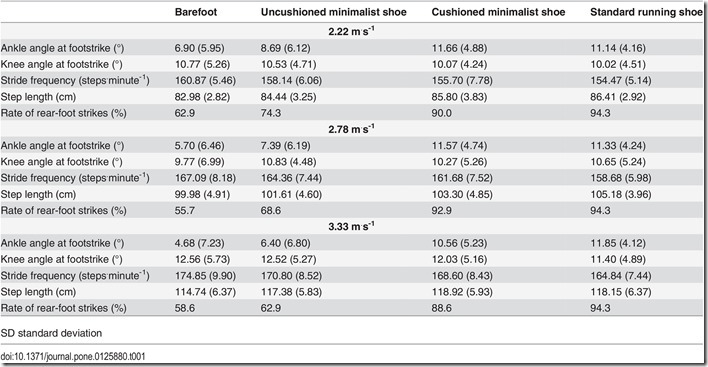 So a soft soled minimal shoe may be a bit different than a firmer soled minimal shoe, and both of these likely different than a shoe with zero cushion at all. If varying shoes is not an easy option, varying training can have the same effect I’d guess – mix speeds, elevations, terrain, etc. The goal is simply to vary the stresses applied whatever your form looks like. Good to hear! I rotate my shoes and run on different surfaces, too. Hmm, I thought everyone knew this already? Maybe I was wrong. I think half the people I see run in only a single shoe every time they go out. 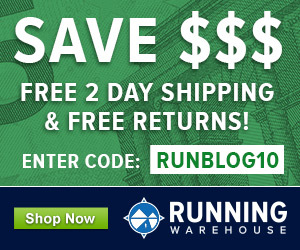 Common knowledge to shoe and running geeks, but not to the average recreational runner. I was wondering if the people who rotated several pairs of shoes also had less mileage on their shoes than the people who didn’t rotate their shoes? If so, could less miles on their shoes contribute to fewer injuries? I call hogwash! Show me the report so I can STOP buying shoes. Actually, since I changed my form (a 2 year process) and finally found my ‘groove’, shoe purchases dropped significantly. I can see changing from trail to pavement in shoes, but I disagree with rotation reducing injury, study or not (there’s a study for every angle). I say find your shoe, then stick with it if it treats you right. Are we sure that this study wasn’t funded by a special interest group with ties to shoe manufacturers? I need to get the full text, funding sources are typically disclosed but I don’t think this was a shoe industry study. I have alway been a big believer in shoe rotation. I usually have 3-4 pairs that I switch. I try to wear a different one everyday. I think it also helps you get more miles out of your shoes. 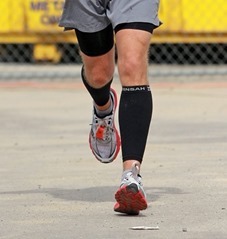 I also run on the dirt for the soft surface and it’s just fun. Am I reading this right? It seams cross training (volunm in other sport) has a stronger relationship than switching shoes. The hazard ration for cross training was closer to 1 than that for running in multiple shoes, so don’t think so. I’m still no expert on this type of research though. According to Dr. Reed Ferber, the head of the University of Calgary’s Running Injury Clinic (incidentally, how many universities have a running injury clinic?) stride variability is good when healthy, but maybe not so great when you’re coming back from injury. Like you Peter, I’ve been doing this for years. It’s nice to see some science to back it up (so too reading about it in Tread Lightly). Years ago, I used to get desperate when my favourite shoe was discontinued or radically revamped. I think a lot of runners are too dependent on their favourites, almost locked-in to a particular brand and model due to the fear of injury from trying something new. Nowadays, I find I can run in a wide variety of shoes and have loads on the go at the same time; I am liberated from my reliance on one shoe. Somewhat ironically the shoes I don’t run in now are the ones I dared not deviate from before. I don’t spend any more money on shoes now, because they last so much longer. Also, I’m less choosey now which means I can generally pick up the bargains.